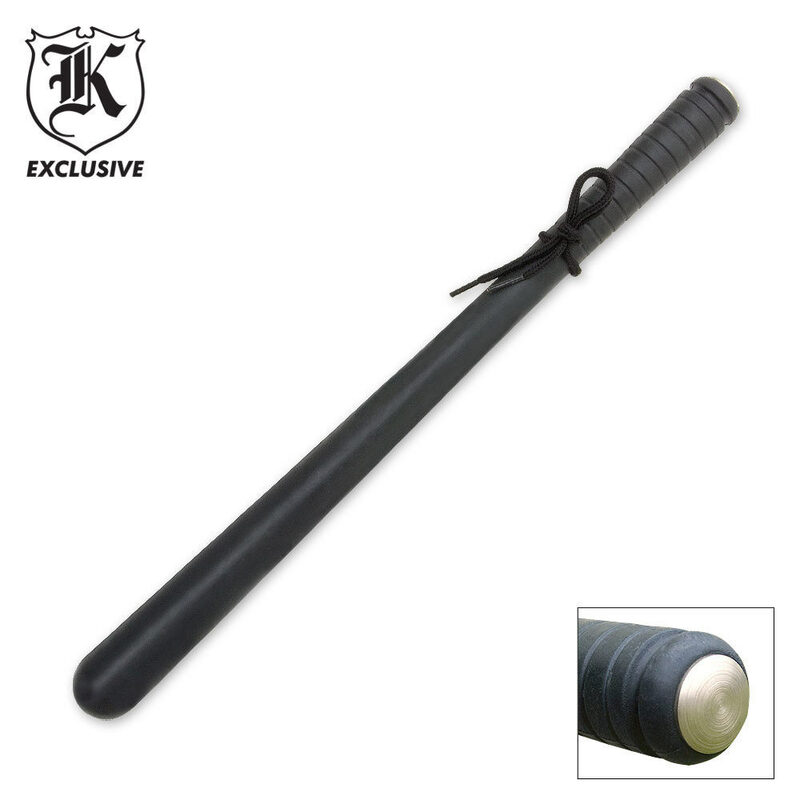 One solid steel rod over molded in just enough rubber to take the thud off. 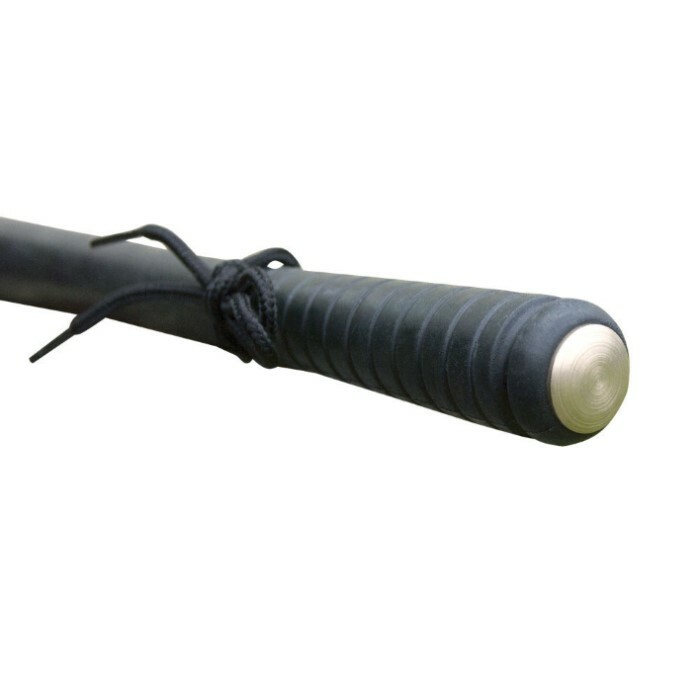 An easy grip handle makes swinging this beast easy and a wrist lanyard ensures a secure hold. 19 3/4 in. overall.